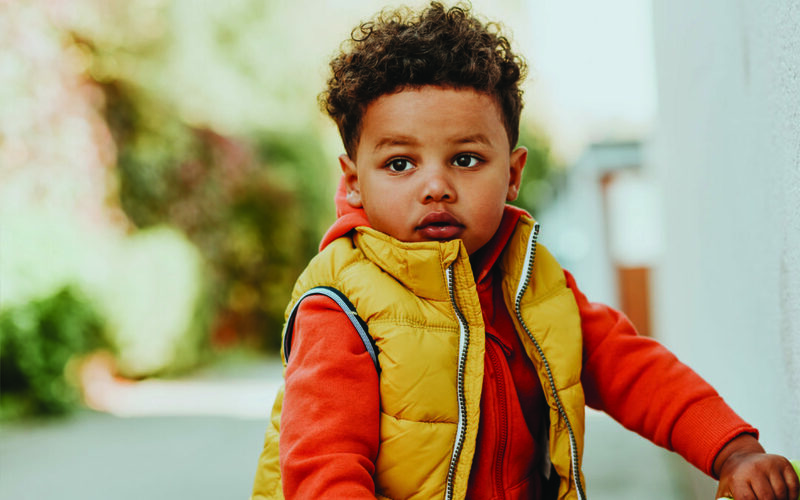 Parents don’t always consider that their children might have anything to be anxious about, but even very young children can struggle with anxiety. Clinical psychologist Michelle Nortje gives you the low-down. Anxiety in children can sometimes be very obvious, and at other times the signs can be more covert. In order to understand it better, one needs to look at the cognitive, emotional, behavioural and physical parts that make up anxiety. The cognitive component of anxiety includes the anxious thoughts a child might have. This can be picked up in the way they speak or talk about their schoolwork, friendships and hobbies. For example, the child would imagine a negative outcome for something happening in the future and an inability to manage with a task. Statements such as “I am never going to be able to learn how to spell”, “I won’t try!” or “nobody wants to play with me” are examples of exaggerated ways of thinking that might suggest anxiety. Parents can help to challenge these thoughts by reminding their child of times when this was not true. The emotional component of anxiety can be seen in a child’s emotional state or feeling response to different situations. Most small children are not able to identify and give names to all their feelings yet. It is often not helpful to ask a child what is wrong, or how they feel, as they simply may not know. Emotions such as anxiety can be overwhelming and confusing for small children. An anxious child may become tearful, quiet, clingy, cross, and difficult to soothe. The behaviours or bodily changes that accompany anxiety can be diverse, and each child may show it in a different way. Behaviours that suggest anxiety can include tantrums, avoidance of certain people, places or things, restless and poor sleep quality, loss of appetite, tummy or body aches, shaking in hands or legs, sweaty palms, poor concentration or being easily distracted, regressing to more babyish ways like wanting to sleep in the parents’ bed, bedwetting, thumb-sucking or pulling at their hair or clothing, playing alone, school refusal and many others. It is important for parents to look out for changes in their children’s behaviour. 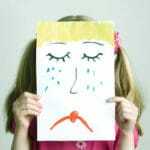 How can I help my child to manage their anxiety? Children can be particularly nervous or worried about changes such as a new school, a new sibling, divorce, or a loss in the family. Be mindful of expected changes and try to prepare your child realistically for the positive and difficult aspects of the change. Children learn by watching their parents’ ways of dealing with their emotions. Do not pretend you are perfect or do not have feelings. You can model ways to manage worries and anxiety in everyday situations. For example, strategies for getting everything done on time can be a helpful way of teaching your child planning and time management. (Weekly schedules on a white board on the fridge is one way to show them how to get things done without getting overly anxious). Help children to label their feelings when they are not sure. You could say something like, “It seems like you are feeling worried about having a new teacher at school…” to help your child make connections between a feeling and their experiences. Using pictures from books or magazines or making faces in a mirror, is a fun way for children to learn what their facial expressions may mean for themselves and to others. Building their emotional vocabulary also helps them later to express themselves and self-reflect. A child may become anxious about not being able to complete a task if it is actually too difficult for them. It is important to make sure tasks given to a child are relevant to their age and ability. Of course we want to challenge them at times; but new tasks must be broken down into manageable tasks. If a child is given a task that is too complex without the necessary assistance, they may begin to feel that they are not capable, and this will impact on their confidence. Sleep is vital for our brains to recuperate for the next day. Ensuring a healthy bedtime routine is essential. A tired child is more prone to feeling worried and overwhelmed. Depending on the age of your child, there are various mindfulness apps for tablets and phones that can offer fun and age-appropriate ideas on how to soothe oneself. Practising mindful breathing, for example, is one way to help children self-soothe when they are anxious. A fun way of teaching this is to blow bubbles while emphasising the deep in and out breaths. Including calming activities as a part of a balanced everyday routine can prepare children for when they do feel anxious. This gives them a sense of confidence that they know what tools to use to manage their own anxiety. Deep breathing, painting and drawing, walking in the garden and observing the colours and shapes of plants, practising describing using their five senses, and retreating to a quiet place if needed are just a few ideas. Sometimes all a child needs, is a present parent who will sit with them, listen, and offer comfort while they are struggling with a big feeling. When a child knows that they will be supported through a difficult feeling they will also feel more confident that feelings are manageable things, and not things to be frightened of and avoided. If childhood anxiety goes untreated it can have some negative effects on a child’s development. Their concentration can be impacted on by anxiety. This may then affect their academic performance and their ability to take in and learn new information. Anxiety can also impact on a child’s ability to make friends and interact confidently. In this way, if their anxiety is not addressed, a child may develop more serious forms of social anxiety at a later stage. Other possible later outcomes of untreated childhood anxiety could include depression, generalised anxiety, panic disorders or phobias. As parents, it is important to remember that early intervention and prevention are always best! If you notice any of the signs mentioned, or struggle to implement any of the suggestions, remember there is support and guidance available from books, teachers and other mental health professionals. 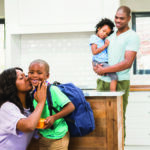 Raising children can be an anxiety-provoking experience for parents, and finding support is one way for parents to feel more confident about how to deal with these challenges.